So as you all can see from the title, this is going to be a review about a product I was recently introduced to by my mom, who came across it thanks to her colleague. Before I get into the product review, I wanted to talk a little bit about the history of this company and how the product came to fruition. This product actually came to being out of a 2012 group project for a National Business Model Competition, among students that went to my old University in Jamaica. They set out to create a product that catered to people who wanted to go the all natural route when caring for their hair. The company’s mission is ‘to create a healthier lifestyle for the world, one product at a time’, and they seem to be achievement just that,step by step. I would also like to add that nationally their project placed 1st, and they went on to be ranked 8th in the International Business Model Competition, which is quite an accomplishment, especially given the fact that no one in this group was a business major, so they set out to do something completely outside their realm and were successful. 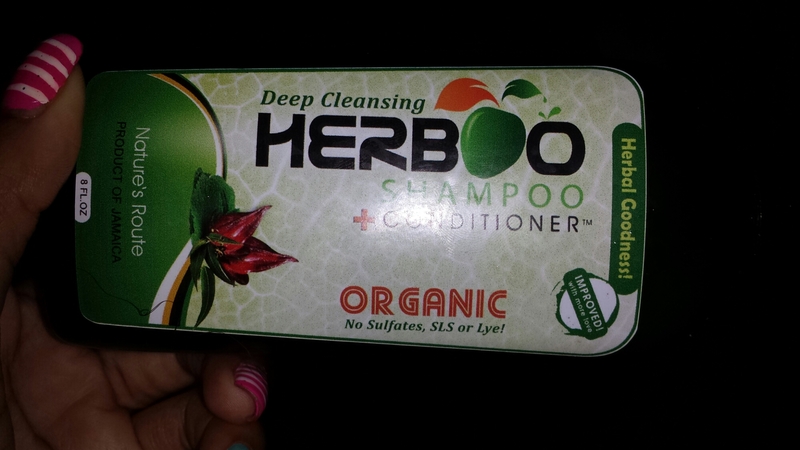 Herboo Enterprise is a 100% all natural personal care and cosmetic company. 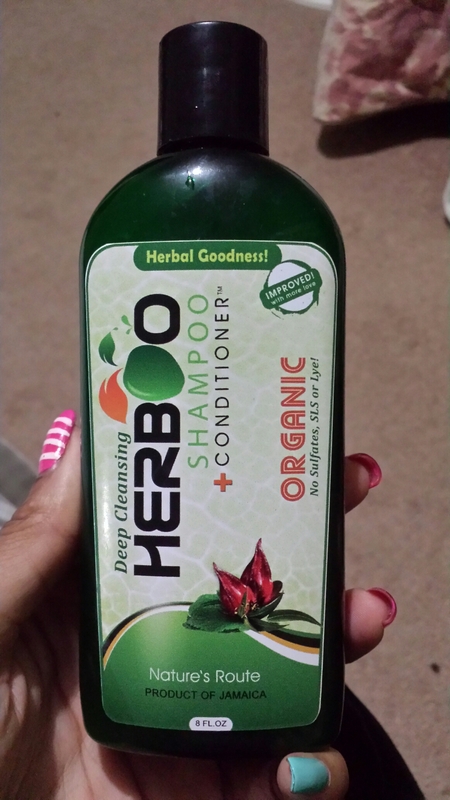 Their main product is the Herboo 2 in 1 cleansing shampoo and conditioner that caters for those who want to stop premature greying, dandruff, dry scalp, hair breakage as well as add body and luster to their limp hair. Since creating this product, they have earned national recognition among consumers in Jamaica, and their product is for sale in various pharmacies and outlets nationwide. I thoroughly enjoy supporting small companies, especially those from my home country. I will be launching my own company and product line within the upcoming months seeing what these young people were able to accomplish gives me hope and immense pride and joy. I hope I am able to do the same one day. And now on the review of this product. This shampoo has a wonderfully refreshing peppermint fragrance, perfect for leaving your scalp feeling clean and invigorated. It has a slightly thinish consistency, which helps it with spreadability throughout your hair. It is low lather formula (because it’s sulfate free), for those you are very keen on using all natural products take care for your hair. Even though there aren’t alot of suds like traditional shampoos, my natural hair feels so clean, without feeling striped when I use it. I don’t find it to be as conditioning as a standard conditioner would be, but I adore that it does not dry my hair out or strip it, which is something regular shampoos or 2-in-1’s (shampoo and conditioner) are known to do. It contains awesome ingredients that you natural ladies know are essential during a hair care journey, such as coconut oil, jojoba oil, and olive oil. It even has unique ingredients such a sorrel and a ‘heart full of love’ (I love cute touches like that. It makes me feel much more cared about as a customer). -My mom and sister found that it left a film on their hair (they are both relaxed), so it may not be ideally suited for relaxed hair. -You will most likely have to follow up this awesome shampoo with a conditioner for best results. 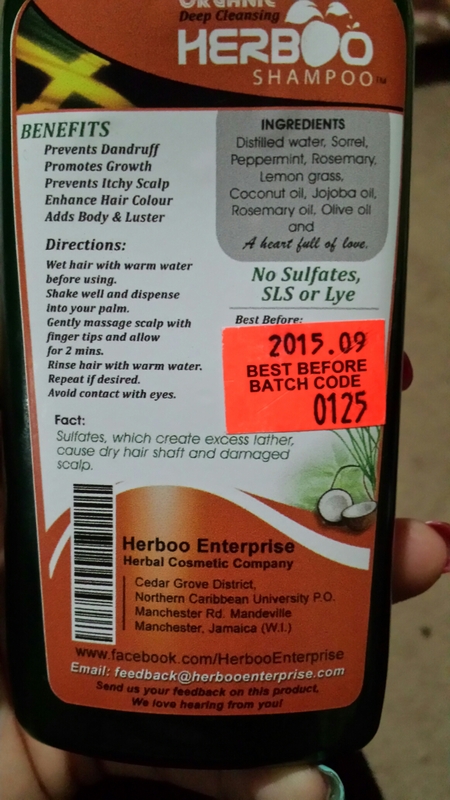 -when you buy the product, please note the shelf life, because this product does not contain preservatives. Overall, it’s an awesome product and i think all you naturalistas out there should give this product a try and tell me what you think! The product retails for $880 jmd (Jamaican Dollars), which is approximately $7.75 USD, so quite reasonable. You can find out more about the product and the team behind it at http://www.herbooenterprise.com or on Facebook at http://www.facebook.com/HerbooEnterprise . 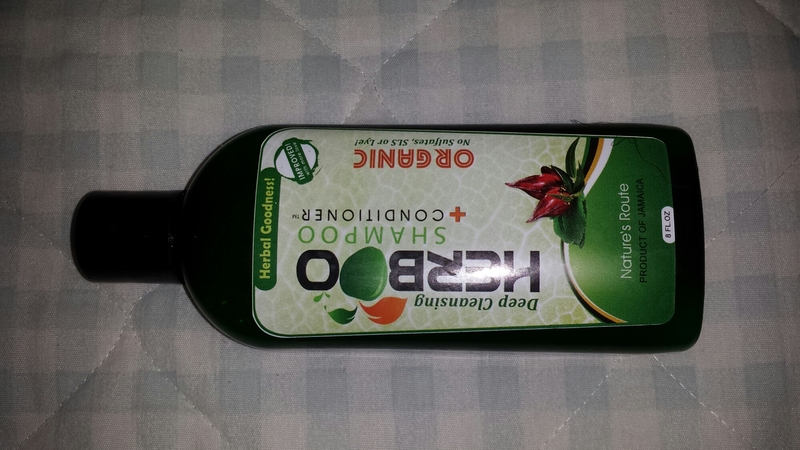 This product can also be shipped to you if you don’t live in Jamaica and would like to try it out. Just contact them at the above sources, or contact the founder of the company, Javin Williams at herbooenterprise@gmail.com for any additional information. They’ve also released a new hair product so far, a hair oil, which promises to be awesome, so keep that in mind to try out as well.